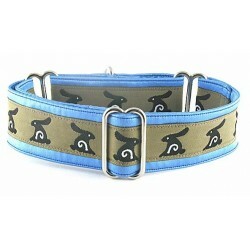 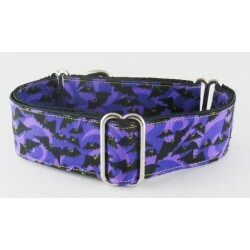 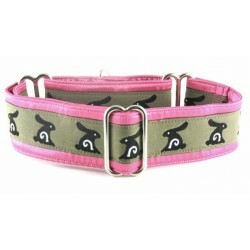 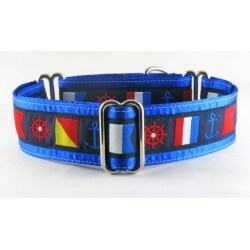 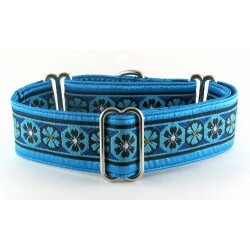 Martingale and buckle dog collars for all seasons: Spring, Summer, Autumn and Winter. 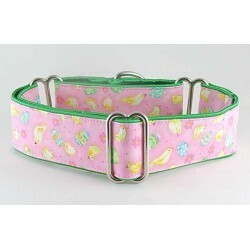 Seasonal There are 82 products. 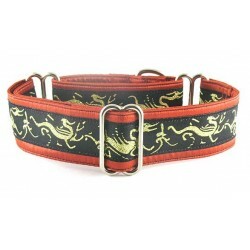 Autumn inspired martingale and side-release-buckle dog collars. 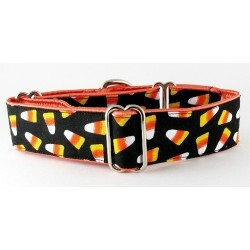 Plenty of fall colors, turning leaves, pumpkin themes, and more. 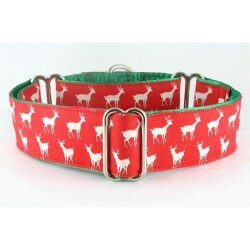 Winter themed collars for the pooch who snuggles close and keeps your feet warm on cold winter nights. 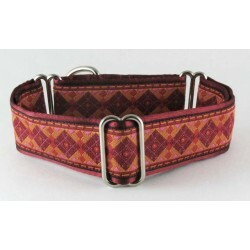 Arrowstar martingale or snap-buckle dog collar consisting of a geometic star and arrow design in autumn hues. 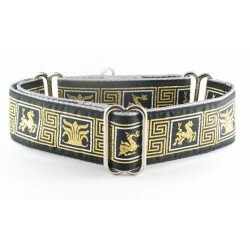 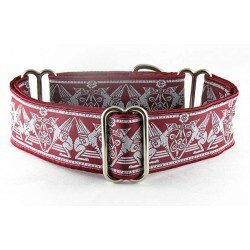 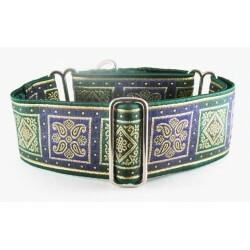 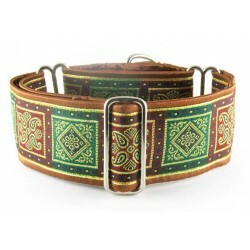 Atherton martingale or snap-buckle dog collar decorated with a botanical Renaissance inpired design. 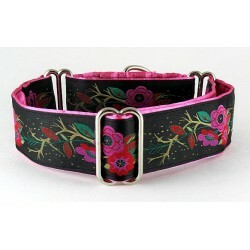 Bevan Square Copper martingale or snap-buckle dog collar. 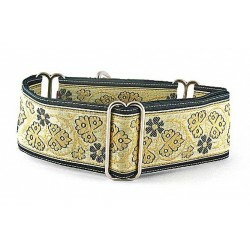 Stylized boxes lined with gold threads are the focal point on this Regal Hound, woven, Jacquard trim. 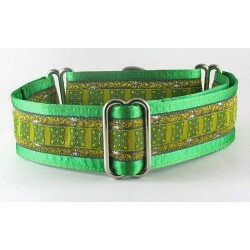 Bevan Square Green martingale or snap-buckle dog collar. 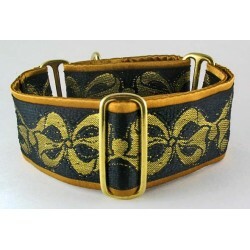 Stylized boxes lined with gold threads are the focal point on this Regal Hound, woven, Jacquard trim. 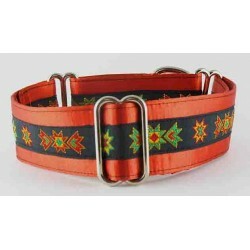 Cinnabar martingale or snap-buckle dog collar displaying a diamond geometric in shades of persimmon, rust and melon.